There is no single profile that fits all female business owners. Why should there be? Business knows no gender. It’s a trait that springs from the mind, spirit and experience. The five women who are profiled in this issue of CEO do have one thing in common: they are part of a growing trend. Today, more and more women are starting their own businesses, and leading companies to incredible success. More than 9 million women-owned businesses are now part of the nation’s business landscape. Like male-owned small businesses, women-owned companies can be found in every niche of the market. 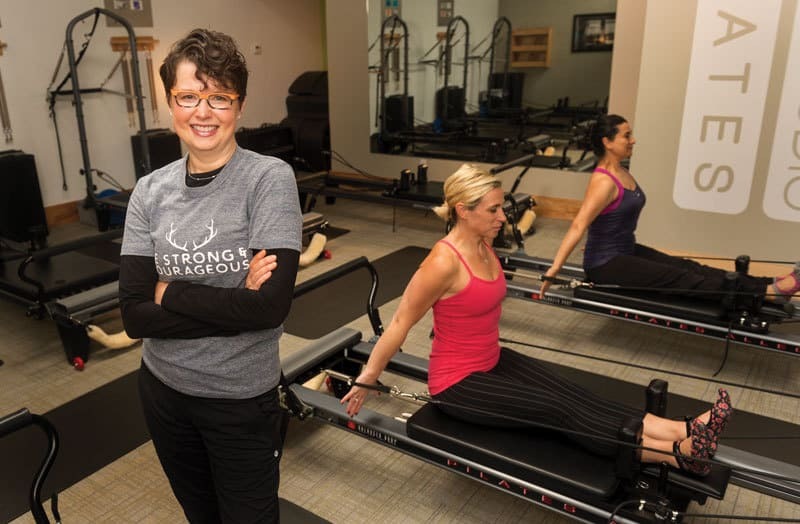 Laura Detert, owner of Open Studio Pilates, brings an expertise (including certification from the Pilates Method Alliance) into the market for Pilates exercises. Elizabeth Mendenhall has taken her family’s real estate company to new heights. 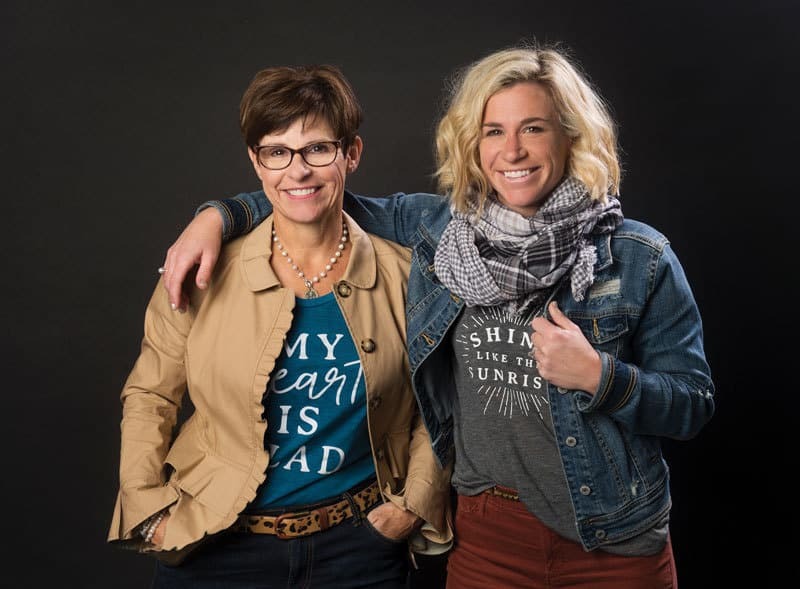 Here in Columbia, Diane Rubenstein and Ashley Gangloff have created an online retail store, filled with inspiring products. And Amanda Quick has opened The Hatchery, a coworking office with onsite childcare. These women have a personal connection and a willingness to take on the role of risktaker have shaped their careers and affected their families. Laura Detert, owner of Open Studio Pilates, is a walking billboard for the benefits of Pilates. Now in her mid-50s, she could easily pass for someone in her mid-30s. She moves easily, has a high energy level and a cheerful disposition. The studio, located in the North Village Arts District in downtown Columbia, consists of a reception/office area, a changing room and a skylighted studio space that includes seven universal reformers and a variety of exercise props. The reformers are bench-like contraptions on which a person sits, lays or stands, using a system of precisely calibrated pulleys and springs to go through a series of prescribed Pilates exercises. This method of exercise was developed by Joseph Pilates in the 1920s. “Its focus is to move the body as one unit, and as part of it moves, part of it counterbalances that move. The reformer machines help your body stabilize and strengthen,” Detert says. Detert leads 50-minute group sessions, playing the role of coach and conductor, adjusting the session to the needs and mood of the class. “I go in with a program – sometimes we stick with it, or if I sense people need to relax more, it changes. Or, we may pump up the volume. Clients begin each set of exercises together and then move at their own pace. It is not synchronized Pilates; however, there is a consistent flow through the entire exercise set,” she says. Unlike a franchised gym where an instructor may be forced to follow prescribed routine templates, Detert crafts unique “theme week” workouts. As an instructor who has attained certification from the Pilates Method Alliance, her workouts are based on her own continuing education in the method. Some of Detert’s regulars have been with her since she opened the studio seven years ago. Typically, they work out at the studio twice a week. Her Pilates students range from age 70-plus down to 20-year-olds. Regardless of their age, they come seeking the benefits of a Pilates practice – greater strength and increased flexibility. They also come to give themselves a break from hectic days and to reduce stress. Detert became hooked on Pilates years ago after she ran into a friend she hadn’t seen for a while. The friend looked great. “I asked her what she had been doing, and without hesitation, she answered, ‘Pilates.’” Detert’s route from enthusiast to studio owner wasn’t a direct one. Like most creative entrepreneurs, she has had a wide range of interests and work experiences. She has worked as a paralegal, specializing in personal injury cases; taught fashion at Stephens College; served as an intern at the Santa Fe Opera, as well as at a London fashion design company; and managed several Toys R US stores before opening the Polo Factory Outlet store at the Lake of the Ozarks. Now as a successful business owner, she handles all the many facets of running a successful enterprise. “Everything I’ve done in the past has prepared me for where I am today,” she says. Elizabeth Mendenhall has worked her way up in the family business and made it her own. After starting at RE/MAX Boone Realty at age 22, she is now the CEO and leads America’s largest trade association, representing 1.3 million members involved in residential and commercial real estate. Mendenhall remembers tagging along to open houses and helping at her father’s real estate company when she was a little girl. She went to work there full time as an administrative assistant when she was 22. Now she is the CEO, a sixth generation Mendenhall to oversee the business that started in 1894. Her father, Richard Mendenhall, formed the current iteration of the company in 1991 to specialize in commercial and residential real estate. She’s also following in her father’s footsteps in making a difference nationally. 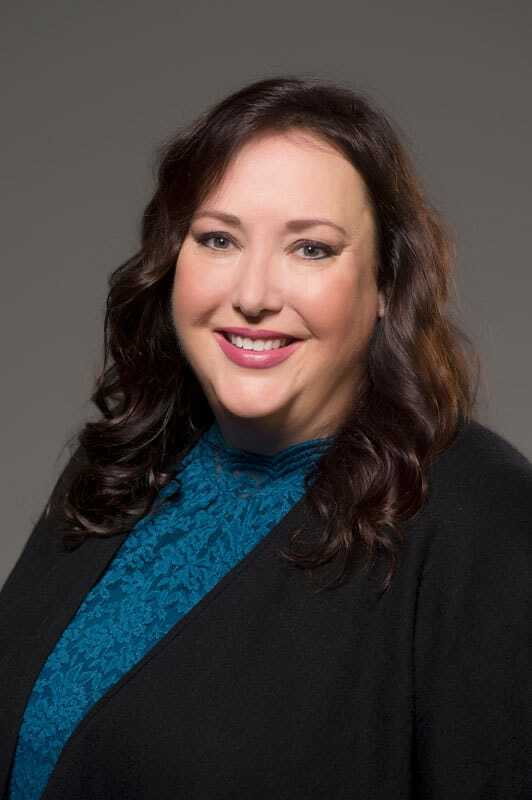 In November she was installed as the 2018 president of the National Association of REALTORS. Richard served as president of this national association in 2001. She has been involved in local, state and national organizations. She served as the Missouri REALTORS president in 2010 and the president of the Columbia Board of REALTORS in 2003. “It is important to be involved. When I was president of the state realtor association, we were able to change the constitution in the state of Missouri to prevent transfer taxes on real estate. Seeing what a group of 25,000 people could do when they came together for a cause was very powerful. I am excited to make changes at a national level,” she says. She was an assistant manager at Boone Tavern for five years but says she couldn’t imagine having a career in anything but real estate. “The real estate business is about helping families, and my family certainly has been doing this for a long time, so I think it is a nice fit,” she says. Mendenhall believes Columbia has been a great fit for her. “What I love about Columbia is that the town continues to grow and change. We explore new ideas. As long as the town continues to expand and evolve, I want to live right here,” she says. Diane Rubenstein and Ashley Gangloff are a good combination. They are in business together, co-owners of Salt House Co., an online apparel and gift startup. As entrepreneurs, their skills and interests complement each other’s. Ashley is an artist at heart. Diane enjoys taking care of operations. But it wasn’t their business interests that brought these two together. Ashley is, after all, Diane’s daughter, and they are bound by a strong mother/daughter relationship. They started by offering clothing, then branched off into gifts. Their adult T-shirts combine comfort and design with uplifting messages, such as “Love never gives up,” “Be strong and take heart” or “My heart is glad.” They have a toddler-sized shirt that merely states, “Wonderfully Made.” The message on a light green coffee mug reads “shine,” while a journal they offer has a cover titled “Perfect Peace.” Posters carry similar messages that also stem from uplifting biblical passages. Although they have no brick and mortar storefront, they have developed a home pickup system for local customers who prefer dropping by to avoid shipping charges. In addition to their hometown market, they sell to people throughout the country who have found their online store. A retailer in LaGrange, Georgia, has also started carrying their line. “Our marketing has been 100 percent online. We use Facebook and Instagram,” says Diane. “An entrepreneurial spirit runs through the family,” Ashley explains. Diane, a retired lawyer, says that being in private practice meant years of experience running a business. She also provided legal services, bookkeeping and software support for two other businesses that she and her husband, Paul, own in downtown Columbia – Varsity Clips and Varsity Nails. Ashley created and sold stationery as a student in high school and then in college, when she wasn’t practicing her competitive diving. When not in the pool, Ashley found time to earn a degree in fine arts, an MBA and a doctorate degree in strategic management. Since 2013, she has taught at MU’s Trulaske College of Business. “While my day job as professor is focused on business, I see Salt House Co. as something that feeds my heart, soul and inner artist,” Ashley says. “It’s my outlet for creativity.” As for Diane, she, too, has other demands on her time. “I juggle my job as a grandmother to Ashley’s three little girls, and my son, Jack’s, two kids,” she says. Working at home isn’t all it’s cracked up to be. Leaving the world of office politics and endless meetings may be liberating, but it can also be isolating. And if there are young children at home, the home/work equation can get even more complicated and frustrating. Amanda Quick knows the challenges of being a home-based entrepreneur with childcare responsibilities. It’s tough to make a sales call while bouncing a baby on one knee or waiting until naptime before updating a website or business Facebook page. After some market research, some interviews with other home-based entrepreneurs and some restless nights, Quick opened The Hatchery three months ago in south Columbia. The Hatchery has the distinction of being Columbia’s only coworking office with onsite childcare. It provides stylish, professional office spaces – both private or in a comfortable group setting – and a support network of other coworkers. The childcare is an optional add-on. The Hatchery is composed of four open workspace areas, several private offices, a conference room complete with TV monitor and whiteboard, and two rooms where young children can play and be attended by staff caregivers. “Typically, we have three or four kids,” says Quick. The childcare option is available from 8:30 a.m. to 12:30 p.m., Mondays through Fridays. There’s also a nursing room, available for women who are breastfeeding. Amanda designed the workspaces with flexibility in mind, providing different types of work settings to meet the needs of different types of business interactions. While some members need little more than a WIFI connection and a worktable to park their laptops, others require the privacy of an office or a casual discussion area, where ideas can be bounced off of other coworkers. Membership levels are also flexible. Members can join by the day or month and can choose the type of room they need. Space is also available to nonmembers who have a one-time need for a meeting place or who choose to rent a workspace for just a day. 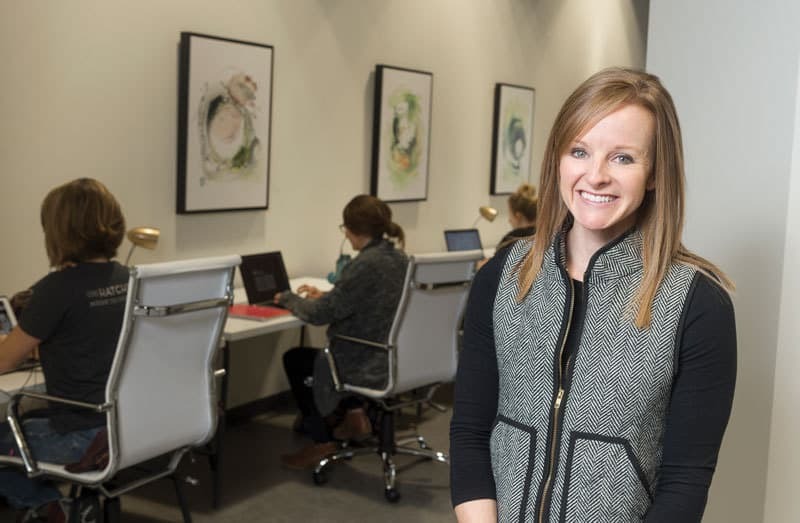 Carrie Clark, a speech-language pathologist with an online business and two young children, comes to The Hatchery five mornings a week to work. “I don’t think I could be where I am with my business without this place. I love it,” she says.